You might think 'book' is a rather basic term to include here. But not in publisher-speak. In fact, not in big-wide-world-speak, either. 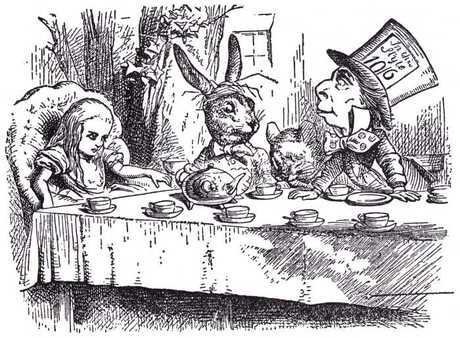 If you tell someone you are writing a book, they will assume you mean a novel - and probably a novel for adults. That is not the definition of a book, but is a category of book. A book may also be intended for people of other ages, from babies to teenagers. It may be a bunch of lies (fiction) or all true (a non-fiction book). It may be a picture book, an academic text book, a school book, a book of jokes or puzzles or anecdotes, an anthology, a biography, an autobiography, a how-to book, a dictionary, a pop-up book, a coffee-table book, a colouring book.... there are lots of possibilities. In publisher-speak a book may be any of these and, depending on the rights the publisher wishes to buy or grab, a CD, a Kindle book, a phone app, and the basis of a film, TV series, opera, theme park, set of merchandising or group of plushie toys. OK, the last don't count as the book, but you might find you've lost those when you thought you were selling a book. The thing to look out for is the bit in the first paragraph where they define your book as 'the Work', thus making the IP (intellectual property) and the paperback or hardback book you are imagining one and the same thing. What do you mean by book? The physical object or the content? The problem is that 'book' is used in both senses and rarely does anyone specify which they mean. B is for Book should go alongside A is for Ambiguity. The blurb (in the UK) is the bit on the back cover of a book, or sometimes the jacketflap if your book is fancy enough to have a jacket, that says how wonderful it is. The blurb tells prospective readers a bit about the book and its job is to entice them into buying/reading the book, so it has to work hard, and be just right - like Baby Bear's porridge. In fact, the Baby Bear's Porridge model of writing is the key to the whole thing. Your book must be not too long and not too short, not too experimental and not to too boring... it must be 'just right' in all regards. The problem is, 'just right' depends on which bear is eating the porridge. Writing - and publishing - is the art of assessing the bear as it approaches, and plonking the right bowl of porridge on the table. But I digress. Anna Karenin is a tale of love, anguish and despair set against the backdrop of the constraints of nineteenth-century Russian society as it waltzes inexorably towards disaster. Stifled in her marriage and bored by all her restricted life has to offer, Anna forms a passionate and ultimately tragic liaison with Count Vronsky - but her temporary fulfilment comes at the cost of ostracism, the loss of her children and everything dear to her. Bored by her adequate but dull husband, Anna is bowled over by the handsome, dangerous Count Vronsky. Throwing caution to the winds, she embarks on a whirlwind affair that brings the passion and adventure she craves. But how long can Anna live under the condemning glare of Russian society? Will love conquer all, or will the price be too high for the couple? For a children's book, the blurb may be designed to appeal to gate-keepers (parents, teachers, librarians) rather than children, depending on the title. If it is to appeal to children, it will be short and may be humorous. You should have the chance to write, or at least approve, the blurb. Leo Tolstoy is an exciting new voice from Moscow. His writing is incisive and precise, giving a devastating critique of aristocratic Russian life. Anna Karenin is his first novel. If the blurb has a biographical element, you should certainly have control of this. If the publishers use the last biog you sent them, it may well be out of date. If you filled in an author-info sheet, this will probably be used as the basis of the blurb (and catalogue copy), so bear that in mind when you fill in the sheet. The publishers will want to mention your previous books, any qualifications or relevant experience that excuse your having written the book (so you've been a polar explorer if your novel is set in the Arctic, or you are a surgeon if your book is a neurosurgery text book). They will want to mention any awards or shortlistings as long as they are important enough. They won't want to mention that you won the short story competition in the Shepreth Evening News or won the Gower Beach award for a first poem. (Don't look for entry forms, these don't exist.) They certainly don't want to mention that you self-published your first six novels (unless these then became mainstream successes). If they can't think of anything else to say they will say you are an exciting new voice and this is your first novel, or some such other generic gumph. They want to make you sound interesting. If you are not interesting, that makes the job harder. So try to live an interesting life. I hate writing blurbs. Summing up the book you've spent months writing in one or two paragraphs is a horrid task. But it's better to tackle it than let an Emma who hasn't read the books write the blurb. (All publishing bints are called Emma if they are not called Rebecca; bint is not a pejorative term in StroppyAuthorSpeak - my daughters are widely know as Big Bint and Small Bint.) I've just looked at some of my blurbs (written by Emmas) and realise I need to follow my own advice - one switches from second to third person in a single sentence. Aaaargh. Grounds for a reprint? Or just time to crawl under a stone? I can write, people, honestly I can... Please buy the book - the writing inside is much better. Thanks to Mary Hoffman for pointing at that what we call a puff in the UK is 'blurb' in the US. Does anyone know the American word for what we call the blurb, please? As some of you know already, I'm spending the summer working on a series of vampire stories. Hooray! Who says publishers aren't commissioning vampire stories any more? These vampires have their own USP, which I'm not going to tell you just now. The vampires will leak all over twitter, of course, and that's my current problem. Talking about your work in progress on twitter is natural gossip with friends, but it also alerts readers to what's coming and in that capacity it's publicity. While I was writing Story of Physics, I did lots of tweets about fascinating physics facts and anecdotes I came across as I did the research. (Any of you who think 'fascinating physics fact' is a contradiction in terms need to read the book when it comes out in July.) That was easy enough as the book had a title and the title became the hashtag. The vampires, on the other hand, don't have a series name or any of the six titles yet. The publisher wants the titles in time to put in the catalogue late in the summer. I didn't realise I needed the series name, but I do - without a name, there's no hashtag and without a hashtag no one (including me) can keep track of what the vampires are up to in the twitterverse. For the time being, they will go by the hashtag #thosevampires, which sets them up for the awkward transfer of name and hashtag later. But better a name-change than anonymity, and even vampires need to be on twitter. 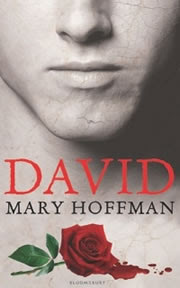 Coming soon to this blog.... Mary Hoffman talking about her new novel David, published in July. That's a blog tour in action. Publishers used to pay for (some of) their authors to go on book tours. In these straitened times, book tours are out except for the very big names, and many writers instead do a blog tour. It's free, it's easy, you can do it from home; you don't sit for hours in a bookshop waiting to sign books people don't want to buy, your luggage doesn't get lost and you don't spend sleepless nights in dingy hotels. What's not to like? A blog tour is simply a series of guest posts on other people's blogs. The blogs should be relevant, of course. If you've written a young adult dystopic novel, you won't want to guest on a blog about sparkly mermaid stories (unless the initial catastrophe in your novel involves sparkly mermaids, I suppose). Your post should be relevant to the blog in some way, too. If the blog is about getting published, maybe post about how you first got published, or the genesis of the new book, for example. The idea of a blog tour is to introduce your writing to new readers, so try to think outside the usual round of blogs followed by the same people - mix and match. Review blogs are obviously a good idea, but what about teachers' blogs, or blogs related to the subject of your book? If you've written a story about hockey players or Vikings (or hockey-playing Vikings), perhaps find blogs about those and ask if you can do a guest post on researching and writing about the topic. A blog tour has a planned itinerary - the list of blogs you will visit - and often a banner or badge the host blogger puts on their blog. 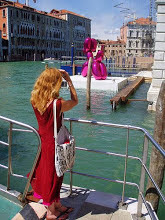 The banner or itinerary can link to other blogs in the tour. This promotes your other posts and also promotes the host blog.